Vegan coffee creamer is more popular and widely available than ever before. In fact, a recent Bloomberg article highlights the vegan food industry’s exceptional growth, with vegan coffee creamer experiencing an impressive boom of 131 percent since last year! And last week, I stumbled upon a treasure trove of vegan coffee creamers in yummy seasonal flavors. While I found these products at my local Target, many of them are bound to be available at a grocery store near you. Califia Farms boasts some of the best dairy alternatives on the market, and their vegan coffee creamers are no exception. Make yourself a frothy pumpkin spice latte with this beloved flavor. Coffee-Mate is a huge name in coffee creamer and early last year, the brand debuted three dairy-free varieties, which are available at most grocers. And for a limited time, the brand will offer this rich vegan maple creamer. This company has been making dairy-free milk for decades and in recent years has made the move into other dairy-free products, including coffee creamer. Silk coffee creamers are widely available, so be sure to check your local supermarket. Not into pumpkin spice? Made with almond milk and coconut cream, this Toffee Tidings creamer contains only 20 calories per serving! As more people find out about the animal cruelty and environmental degradation inherent in dairy production, they’re ditching milk and other dairy products in favor of healthful plant-based alternatives. Companies like Silk and Califia Farms are taking advantage of the expanding plant-based food market with these fun fall offerings. Fortunately, with so many satisfying alternatives, it’s now easier than ever to ditch dairy! 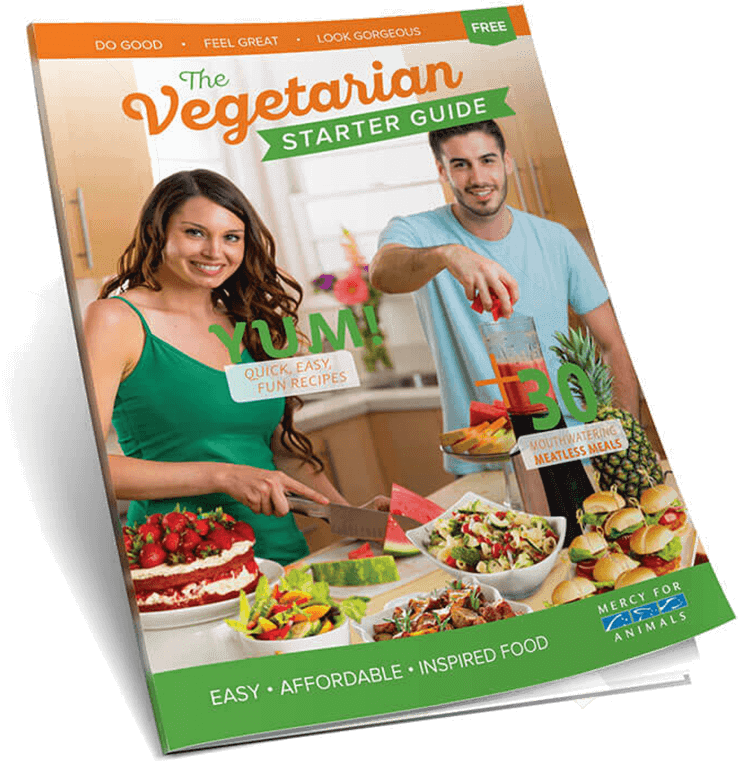 You can find delicious meal ideas, recipes, and tips on making the switch in our FREE Vegetarian Starter Guide.